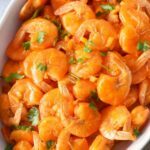 I do not know about you, but with the holidays right around the corner, entertaining in a pinch is going to become necessary for our family. You see, this will be our first set of holidays in our new home. We finally have a large kitchen and open floor plan where we can host Thanksgiving or even Christmas festivities. It feels awesome to have space, but I need to get to planning meals/snacks out. When I think of entertaining, one of the first things that comes to mind is coffee. I always offer my guests a cup of coffee or tea once they sit down and get settled. The easiest way to do this is by turning the Keurig on and getting it ready to pump out coffees. I typically always have a variety of K-Cups® on hand because everyone has different preferences. Having grown up in Southeastern MA, you could say Dunkin’ Donuts® gets me going. There has not been a week that has gone by where I have not had Dunkin’ Donuts coffee. I love the flavors, variety, and quality. You bet I was happy when Dunkin’ Donuts coffee came out with K-Cups. Now, the hardest part is deciding what flavors to actually buy from my local Stop & Shop. There are just so many to choose from that are all tasty! 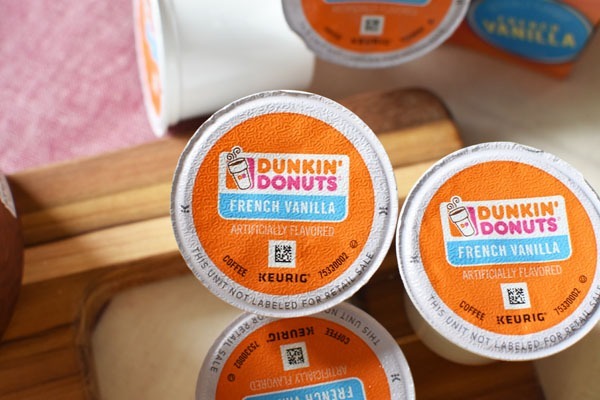 This week, I settled on French Vanilla with some Extra Extra Creamer..
Dunkin’ Donuts has always been the brand to get people going and keep them going, so they can make the most of their day, every day. A great cup of coffee is such a conversation starter and can make a good day, a great day! 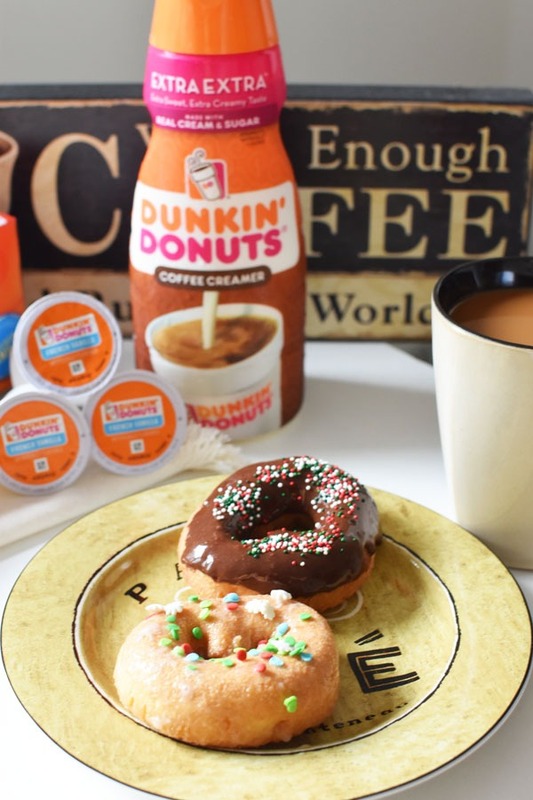 Personally, I love that I can serve my family and guests Dunkin’ Donuts coffee even at home. The coffee is consistently smooth and delicious, and high quality. If you are a true Dunkin’ Donuts fan you know exactly what that means. Extra sugar and creamer, please! I almost fell over one day while shopping at Stop & Shop when I saw that they had Dunkin Donuts Creamer in Extra Extra. People must have been staring at me because I had the biggest grin on my face when I added it to my grocery cart. I had been buying the Original Creamer for a while, but the Extra Extra was a must!! 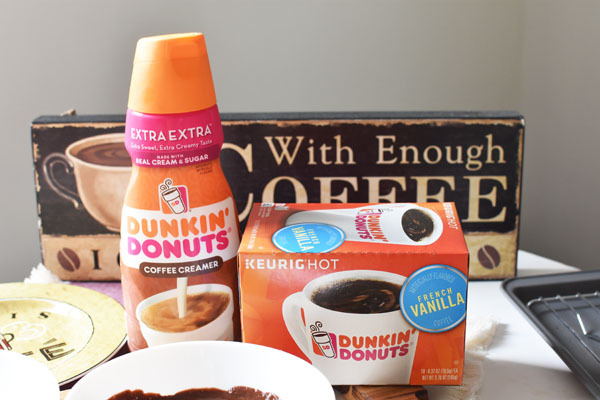 I love Dunkin’ Donuts Extra Extra Creamer because I can add it to my coffee bar for guests to easily tailor their coffee to their preference. Most of my family loves a sweet and creamy coffee so it is perfect. For others, the Original works perfectly. 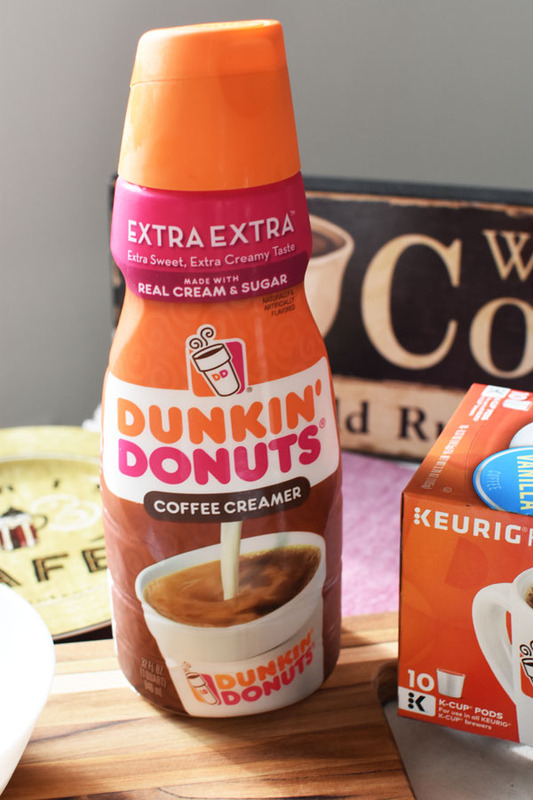 Dunkin’ Donuts Extra Extra Creamer is made with real sugar, milk and cream for a wonderfully rich and smooth taste. 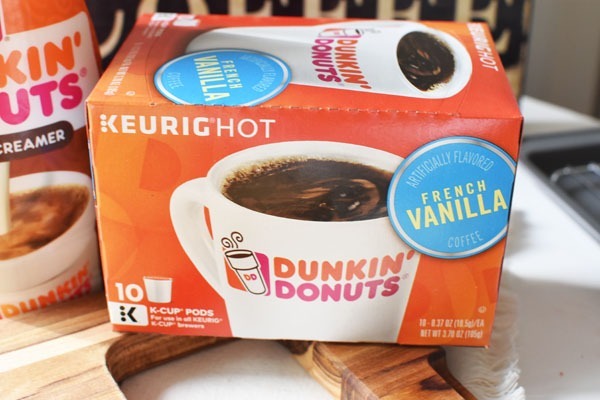 It allows the tasty flavors of Dunkin’ Donuts French Vanilla or any other K-Cup variety to come through. What goes hand in hand with Dunkin’ Donuts coffee? Donuts!! 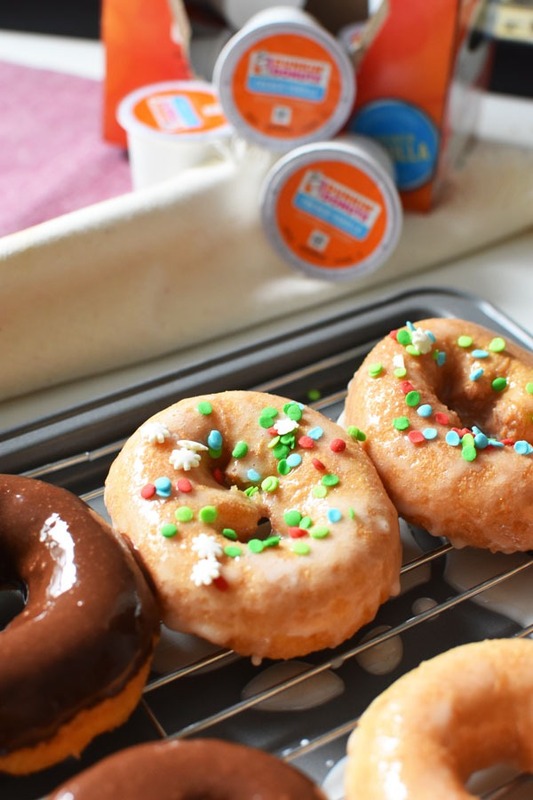 Today, I wanted to share how you can hack donut making with this fun frosted donut DIY recipe. 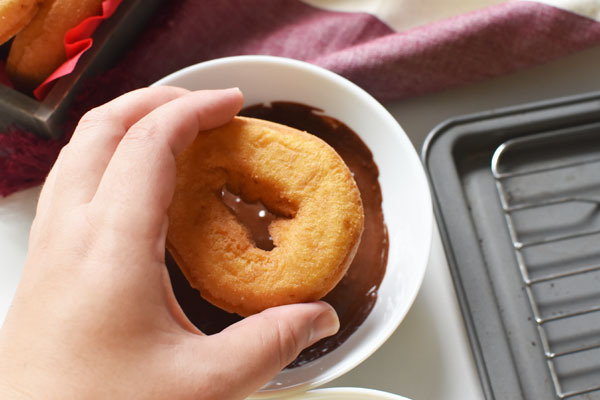 For chocolate glazed donuts, microwave chocolate frosting for 25 seconds. Dip a plain cake donut half way in face down. Allow it to drip dry on a baking rack. 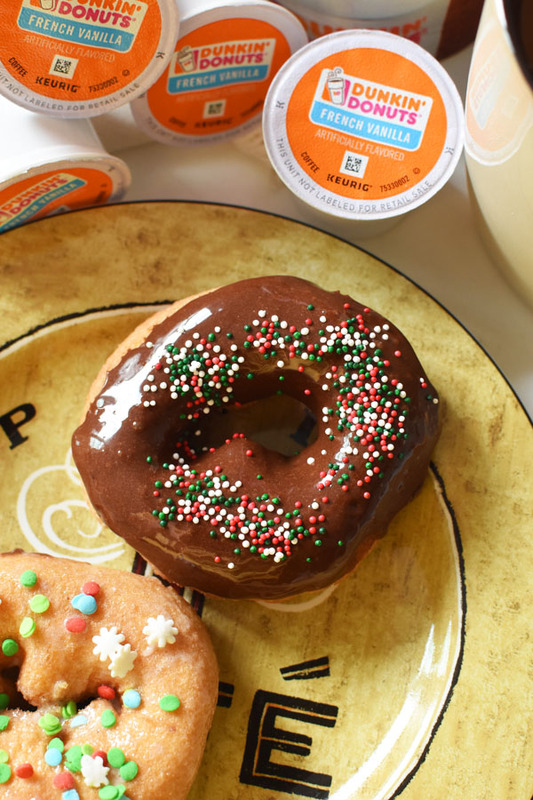 For glazed donuts, dip a plain cake donut into 2 cups of confectioner’s sugar mixed with 2 tablespoons of milk. Place on a baking rack to drip and repeat after 15 minutes to coat your donut. Add holiday sprinkles for a festive touch. 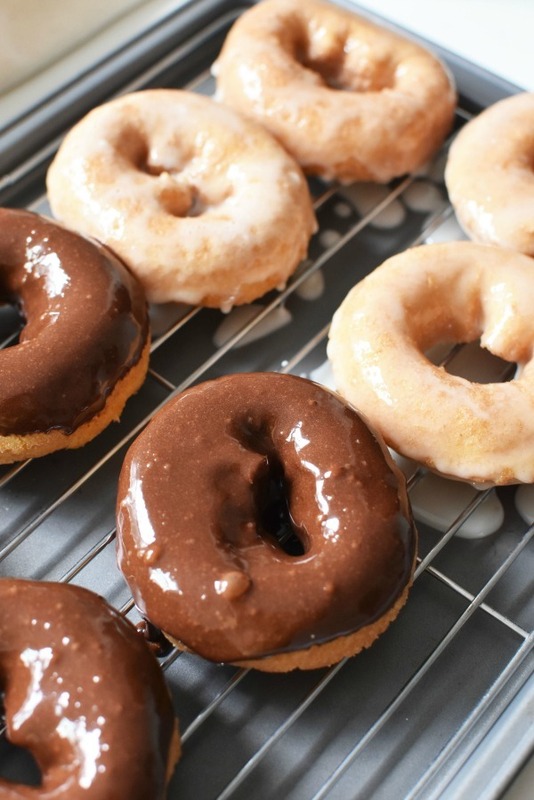 These donuts take about 2 hours to harden and can be made ahead of time. How will you be entertaining this holiday season? Be sure to stop by Stop & Shop to pick up some Dunkin’ Donuts coffee products! I’m sure that my kids will love making these donuts. We’re fans of Dunkin Donuts (that rewards app is SWEET!) and they can totally go through a dozen in an instant. 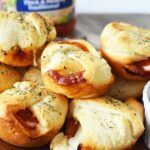 Those look absolutely mouthwatering! I can’t wait to try this method. NOW I need donuts! Om nom nom. Now looks so simple and yet I am pretty sure I’m going to make them. 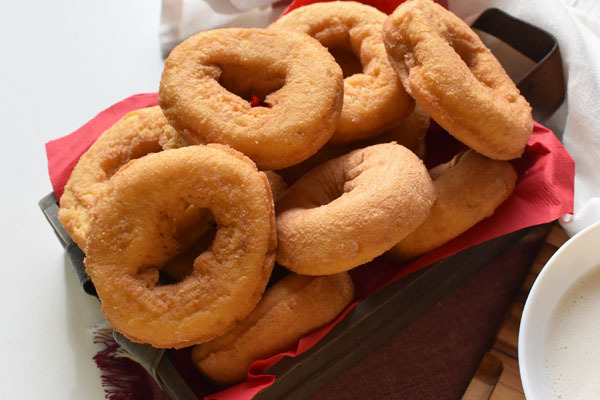 They’re easy to make and donuts are just delicious anytime of day. Your pictures are so good they really make those donuts pop. 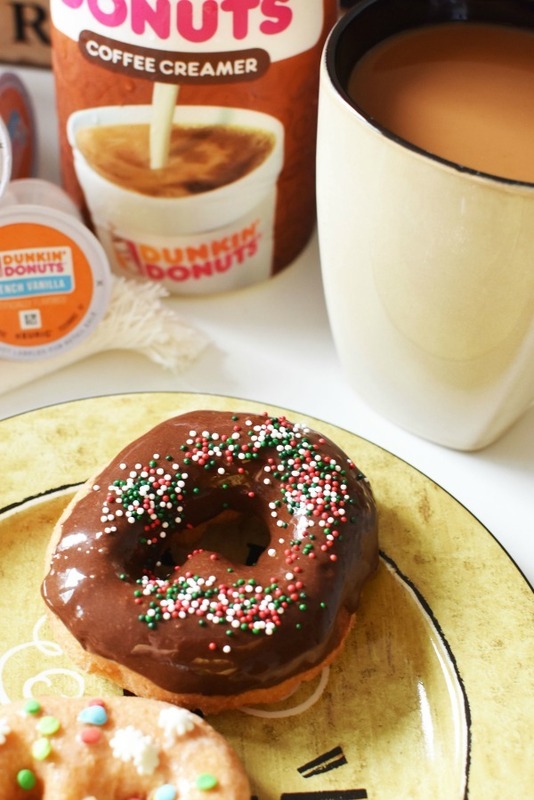 It is great that you can make your own frosted donuts to go along with a good cup of coffee. When I was working I”d hit up the Dunkin’ on my way in to the office all the time. The coffee gave my morning the kick start it needed. I love that Dunkin is finally becoming less regional- we have one the next town over in SoCal, at last! 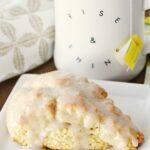 I’ll admit, I’ve used that hack when I was out of confectioner’s sugar, before! I had no idea Dunkin’ Donuts had coffee! 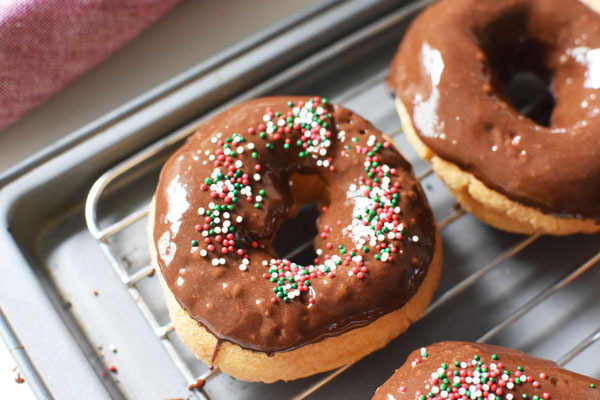 And your donut hack… it’s perfect! My This is the perfect grandkid project! Oh boy my kids would love these donuts! This DD Creamer is my favorite in my coffee. Ah, this is such a clever way of making tasty donuts! 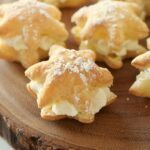 I need to make some of the chocolate ones to go along with coffee! These donuts are sure to be a hit in my house. I love to start my day with a Dunkin’ Donuts coffee. I love frosted donuts. They’re so good. I’ve never actually made them myself though. I certainly want to soon! Mmmmm yes please! Dunkin is the only coffee I drink nowadays. I bake donuts often but I need that cooling rack for frosting! Those donuts look like so much fun to make! I bet kids would really enjoy decorating them since it’s so easy to do. I’m going to be looking for that “Extra extra” creamer from Dunkin now. I hope I can find it! We love the Dunkin Donuts creamer. It’s so yummy! And what goes better with coffee than donuts. My fav!! 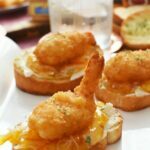 This looks like a fun new twist to try out on our family’s favorite breakfast food. What a fun idea! That’s a great idea to re-melt the frosting. Don’t know why I hadn’t thought of it before!